After exporting my map I'm seeing these strange lines between some tiles. Am I doing something wrong? The largest contributor to seams in your Unity project is anti-aliasing. This is enabled by default for Unity projects and is great for smoothing harsh edges in 3D applications. However, we don't any of that for pixel-perfect 2D. 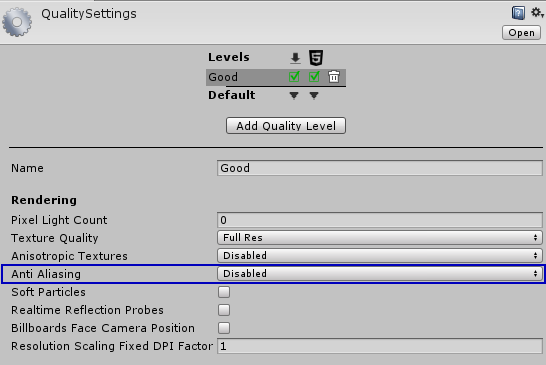 Go into your Unity project's Quality Settings (Edit -> Project Settings -> Quality) and turn it off. By the way, Tiled2Unity will warn you that you have anti-aliasing enabled during an export in Unity's Console window. Hint: It is recommended that you always have the Unity's Console active and always strive to keep your project free of any warnings and errors. Even with anti-aliasing disabled it is possible that under conditions that are just so that seams will still be visible. As you can see, we still have a problem with seams periodically. 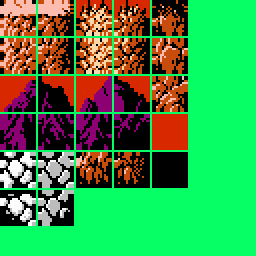 In this particular example, we have a 256x240 viewport and a camera with an orthographic size of 120 (a good rule of thumb is set your orthographic camera size to half your viewport height). Now, we can fix even these seams by manipulating our camera position just right (in this case, never allowing half-unit values for position X and Y on the camera) but that requires writing code that quantizes our camera position - and this becomes difficult to manage if we want to change our viewport size or zoom the camera in and out. 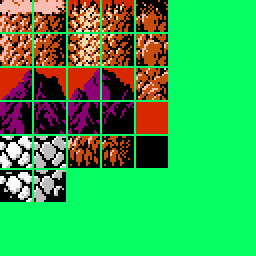 Instead, we use the same trick the pros do and add a border around our tiles. 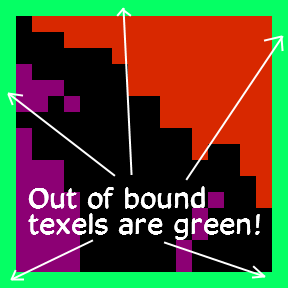 This way, if the texture sampler picks a (wrong) neighboring texel then at least it will a texel of the same color. With this approach we're no longer trying to fight the texture sampler. 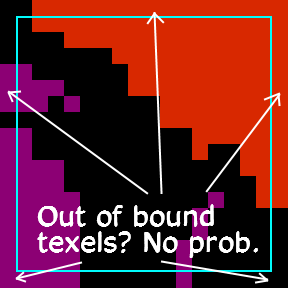 With matching pixels around every edge of our tile we simply don't care if the renderer chooses the wrong neighboring texel in our tileset. This will solve seams in all cases no matter what your camera or viewport settings may be. 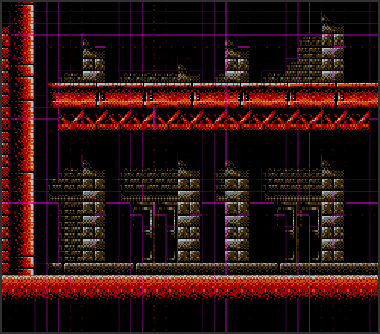 For reference, here are our Rygar tileset images. 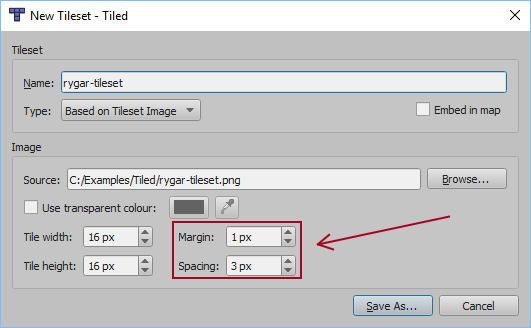 Keep in mind that in Tiled you'll need to have your tileset settings reflect the spaces and margins between your tiles. In cases where you don't have time to manipulate your tilesets to make up for seams, Tiled2Unity does offer a feature that will allow you 'tuck in' your texture coordinates to hopefully make up for any texture sampling errors: Simply add the -t or --texel-bias command when launching Tiled2Unity. If seams still appear then use a smaller power-of-two value for texel-bias (4096, 2048, 1024, etc.). You must use a value that is larger than your texture dimensions, however. Be Warned: This should be thought of as a temporary solution only. It will lead to small, albeit less obvious, artifacts under some conditions.